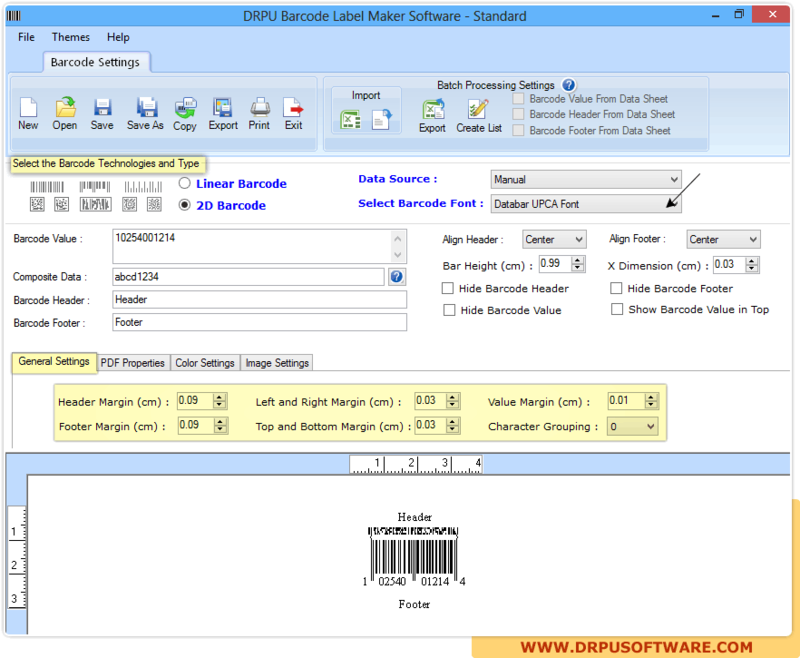 Select Barcode Technology and Type (Linear or 2D) as well as barcode font. You can also change barcode settings using 'General Settings', 'Color Settings' etc as shown in above screenshot. 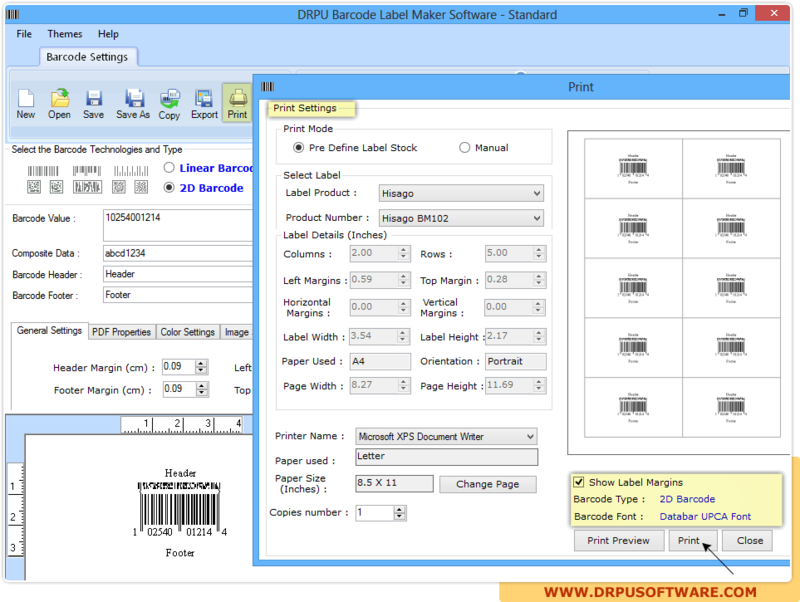 You can print your generated barcode labels using print mode options (Pre Define Label Stock or Manual) .